There are a number of reasons why your computer might be freezing on a regular basis. While the numbers are numbered, there are quite a few common problems that may be the reason. 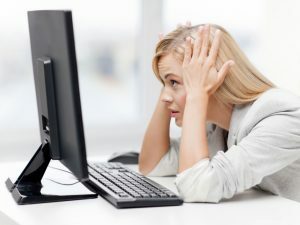 A computer freezing can be as disruptive as staff sickness to productivity so taking preventative measures can keep your computer running smoothly. When the computer freezes, we can react in a number of ways – generally violence won’t really achieve much, the computer won’t unfreeze but it can help us to let off a bit of steam. You can hit the computer or shout at the computer but it’ll probably have the same effect as sweet talking your computer to start working again. Instead of finding yourself in this scenario, take action before the computer gets to that point.